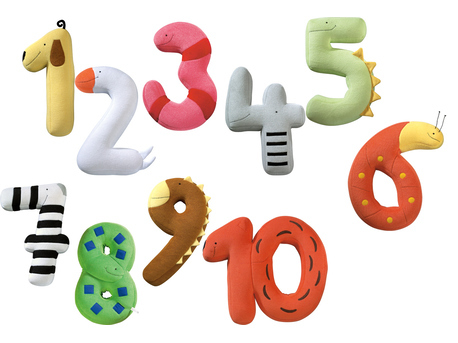 The soft number animals made of fabric provide intensive, emotional access to basic numbers. Each animal has features corresponding to its number. Material: foam with terry cloth cover. Washable at 30°C. Dimensions: e.g. number animal "1" approx. 38 cm tall, Ø approx. 6.5 cm.